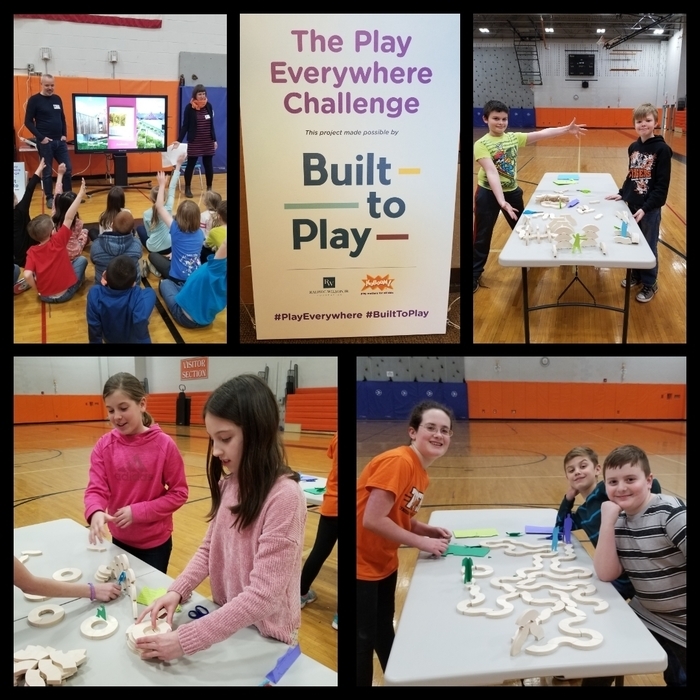 Students in 2nd through 6th grade collaborated with designers and architects for the #PlayEverywhere Challenge. In 2018 we received a $25k grant from KaBOOM to support a multi-purpose play structure. We plan to unveil the project later this year! Early Release and Spring Recess Students will be dismissed at 1:00 pm on Wednesday, April 17th and Spring Recess begins. Students will return to school on Monday, April 29th. 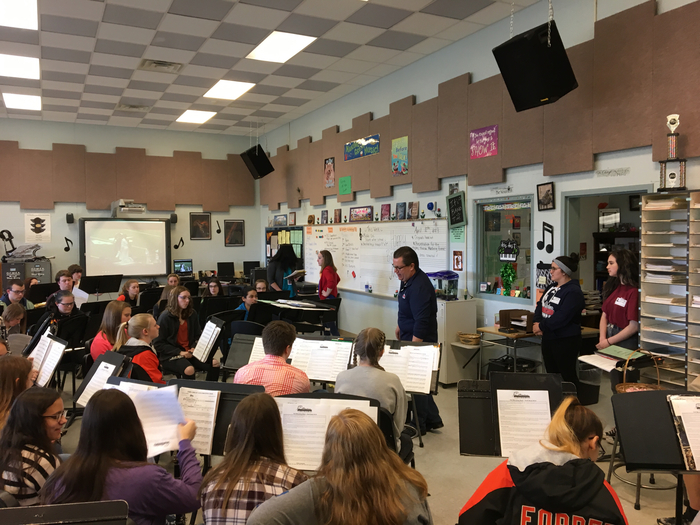 Mr. Steele and Mrs. Botsford along with Medina students presenting to Lyndonville band regarding their opportunity to participate in the Mustang Marching band! 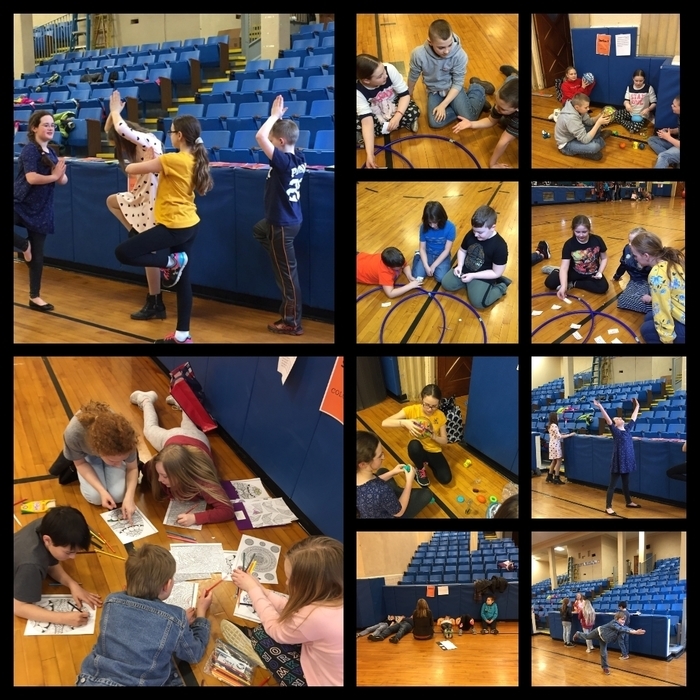 5th and 6th graders participated in mindfulness stations today. 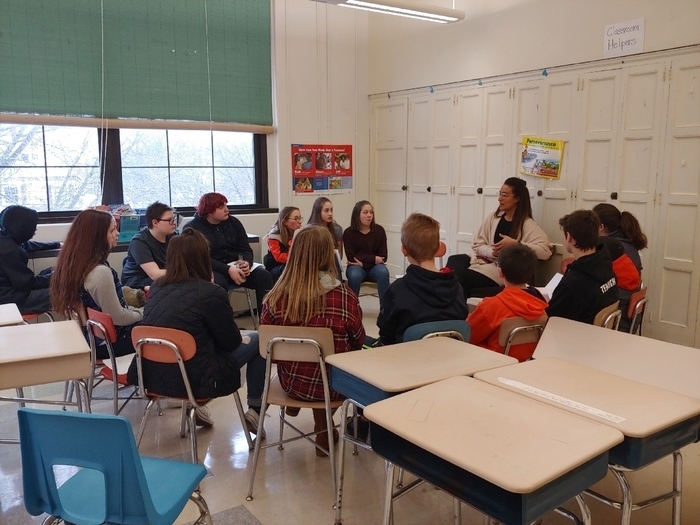 They practiced relaxation and stress management techniques and focused on gratitude with Mrs. Barry and Mrs. Fleck! 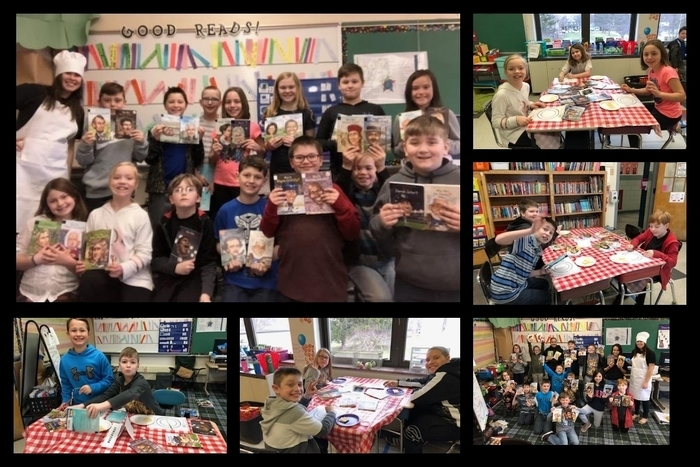 4th graders participated in a Book Tasting today! Thanks to "Chef" Adamson for planning the interactive activity! 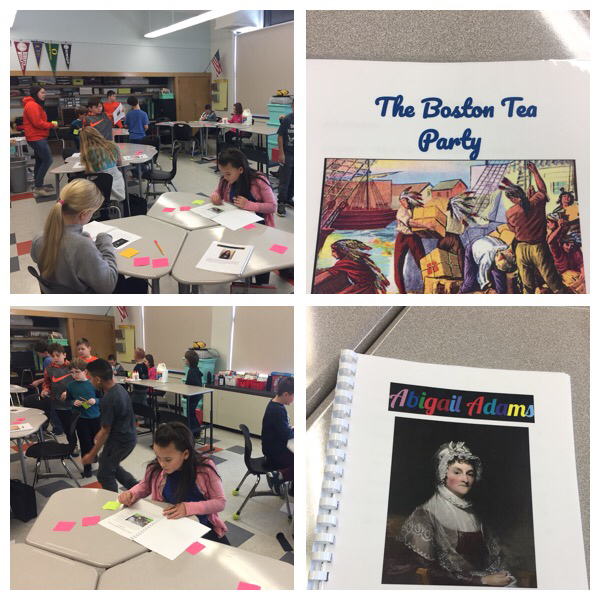 Students sampled biographies of scientists, historical figures, musicians, athletes and politicians. 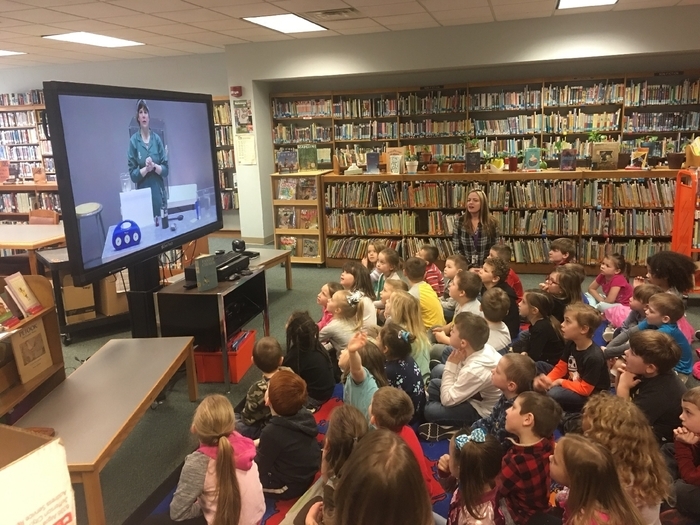 Kindergarteners enjoyed a virtual field trip with the Don Harrington Discovery Center in Texas! 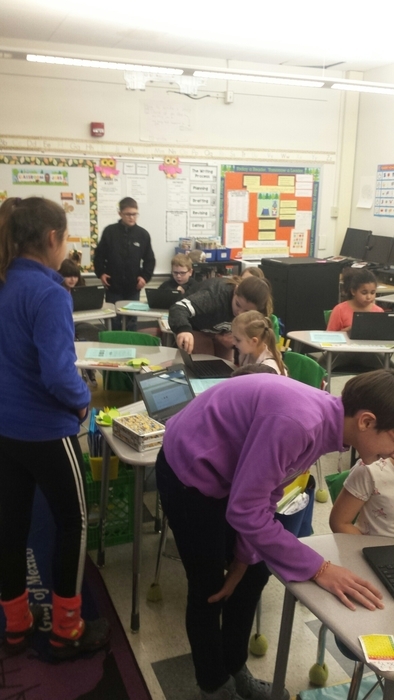 6th graders from Mrs. Thurber's class visited 2nd grade students in Mrs. Caldwell's class to teach them how to use their Chromebooks to access our new IXL program for math. If you ask - they send! 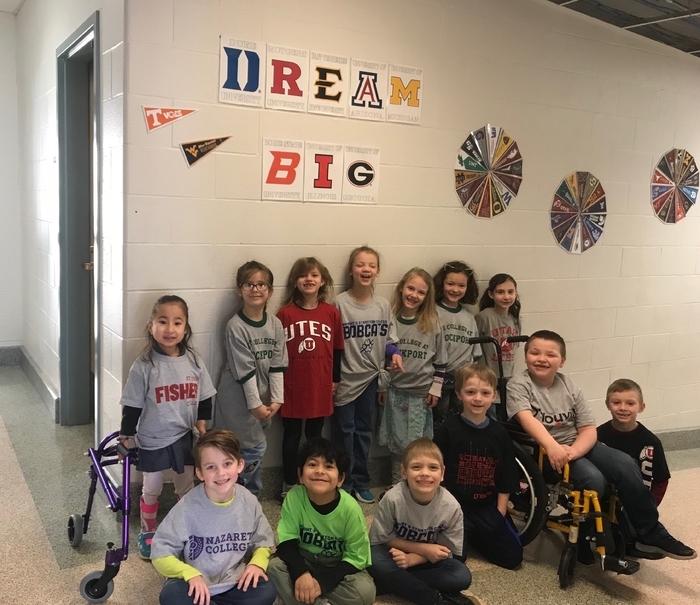 First graders wrote to WNY colleges, and every student in Miss Goheen's class now has a t-shirt for College Wear Wednesday! 🤗 If you'd like to visit LCS and talk about your career or your academic experience at college, let us know! 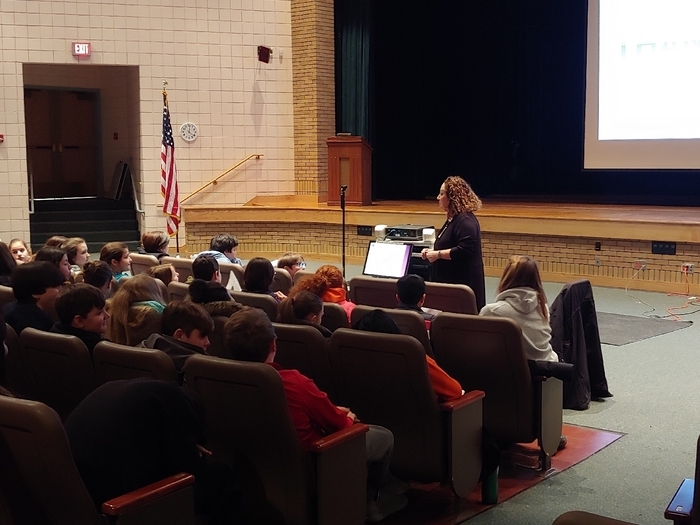 The eighth grade parent information night scheduled for this evening at 6 PM has been canceled and will be rescheduled for a future date to be announced. 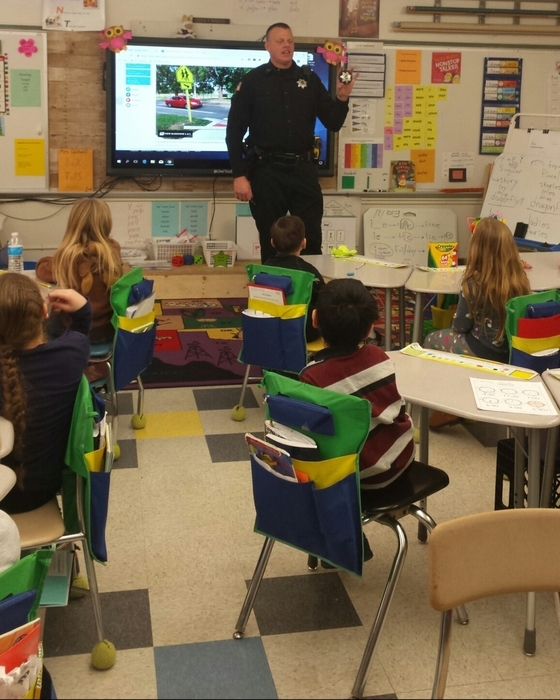 School Resource Officer, Deputy Barnum, meets with 2nd graders to review crosswalk and safety rules. More sunshine means more students enjoying the outside! Be safe, everyone! It’s good to be a nun! 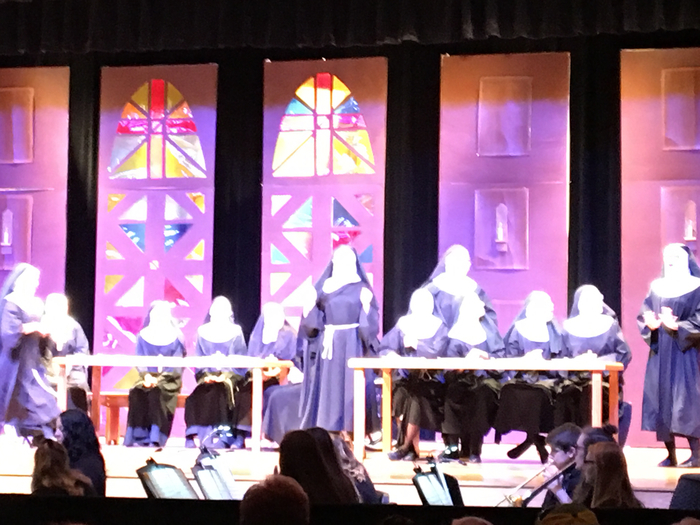 Incredible production of Sister Act by the Lyndonville and Medina music departments. 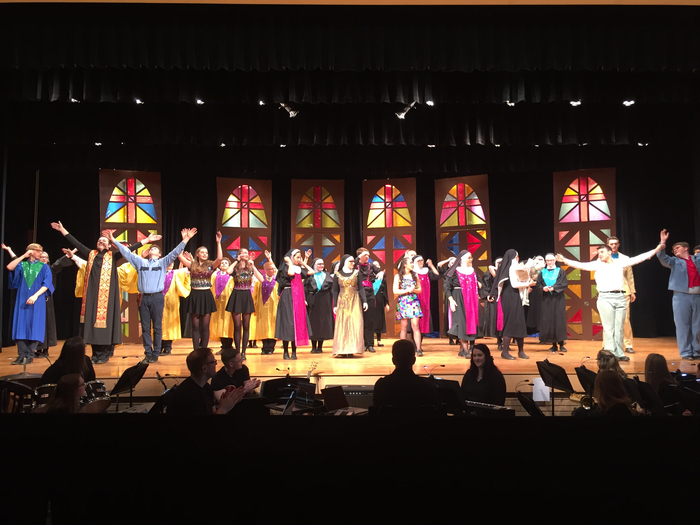 Broadway to Housel Avenue! 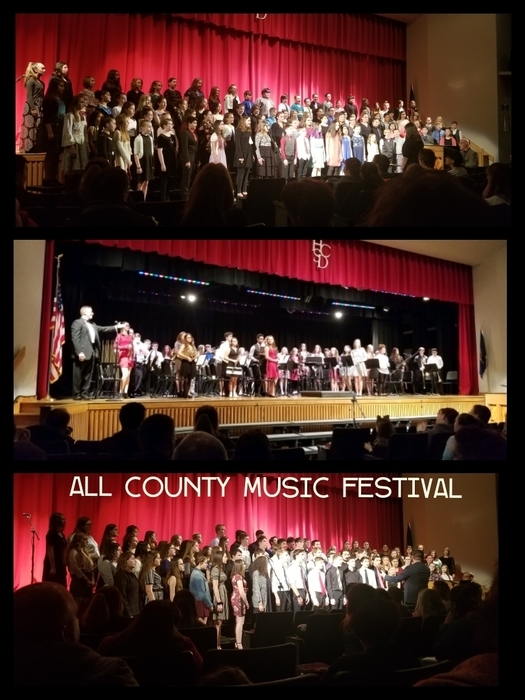 So proud of all of the students, staff, parents, and community members who came together to make this possible! 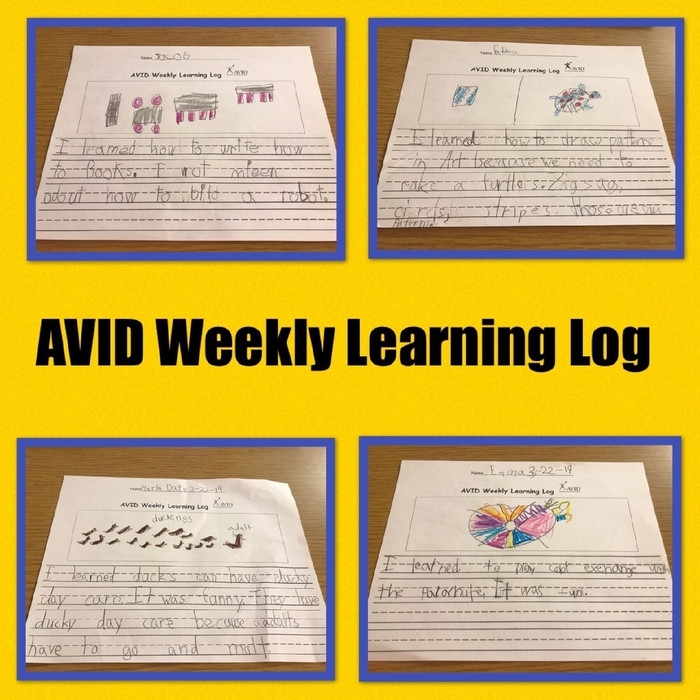 Today, first graders worked on their weekly learning logs to share all the different things they're working on here at LCS! We are an AVID school! AVID stands for Advancement Via Individual Determination. 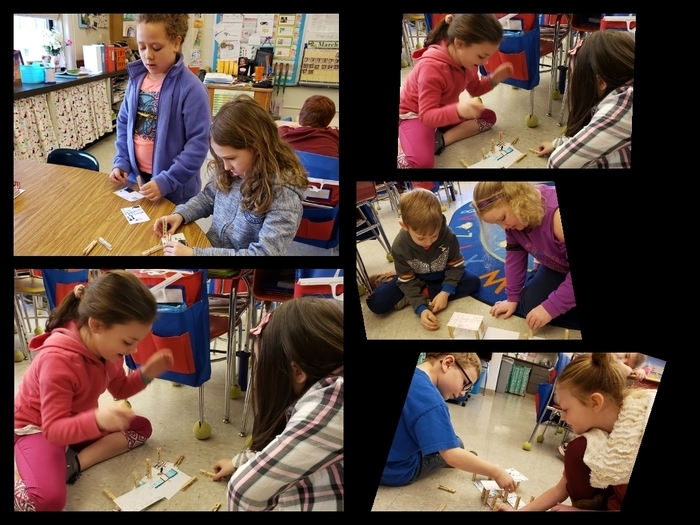 Second graders collaborate to problem solve building brain-teasers during WIN time. 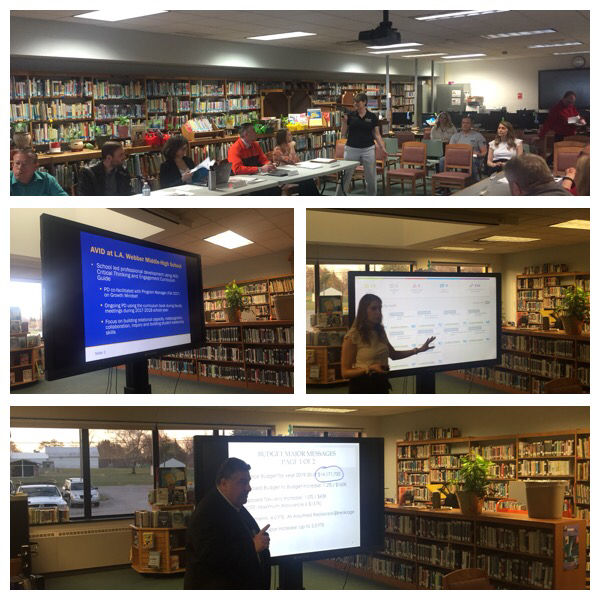 Today's professional development for staff focused on safety, wellness, reading, and math technology. Special thanks to those who made this afternoon possible! Our students will be welcomed back tomorrow morning with positive and uplifting messages! Reminder: Students will be dismissed tomorrow March 20 at 11 am. K-6 Teachers worked with Ms. Taryn Vanderburg for professional development on Lucy Calkins Units of Writing today. 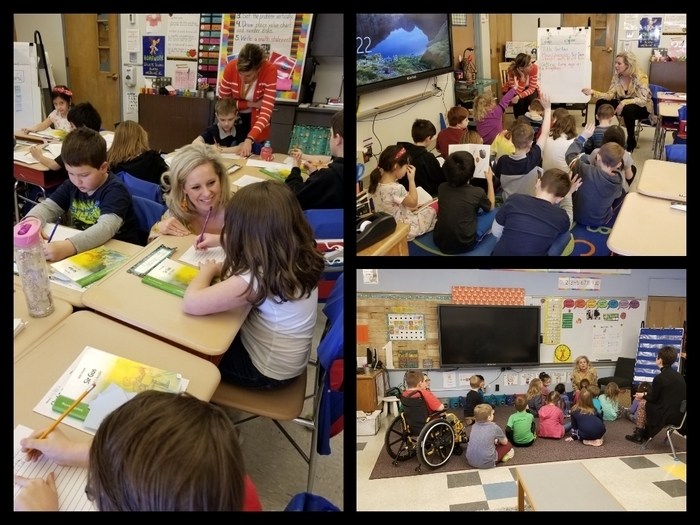 Our elementary students have been working hard and focused on improving writing this year! 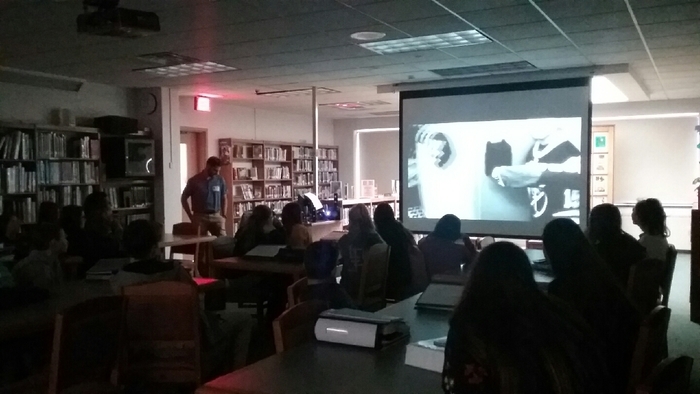 Progress reports have been posted on the parent portal for grades 7-12 for instant viewing. They will also be mailed home this week. Kindergarteners visited Medina Hospital today for the Teddy Bear Clinic! 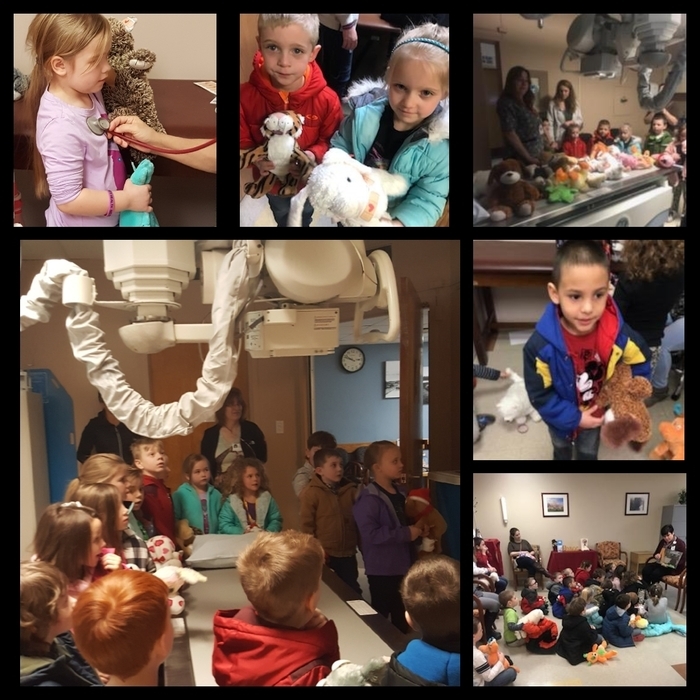 They got to meet with many different staff members, learn about equipment, and make sure their stuffed animals are healthy! 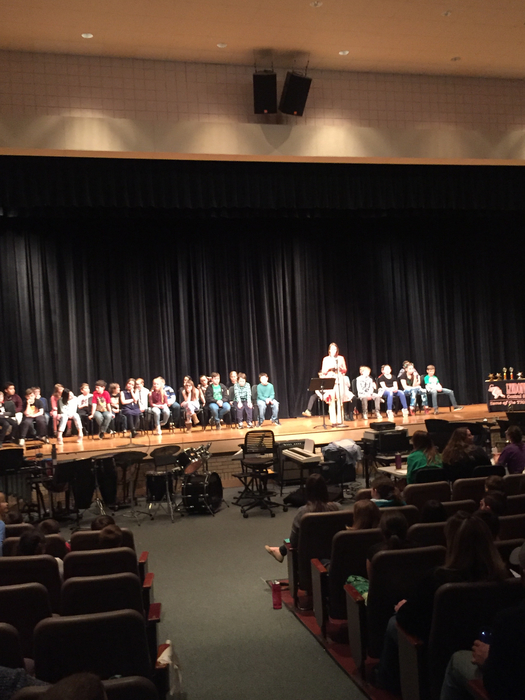 Grade 4/5 Spelllng Bee underway! 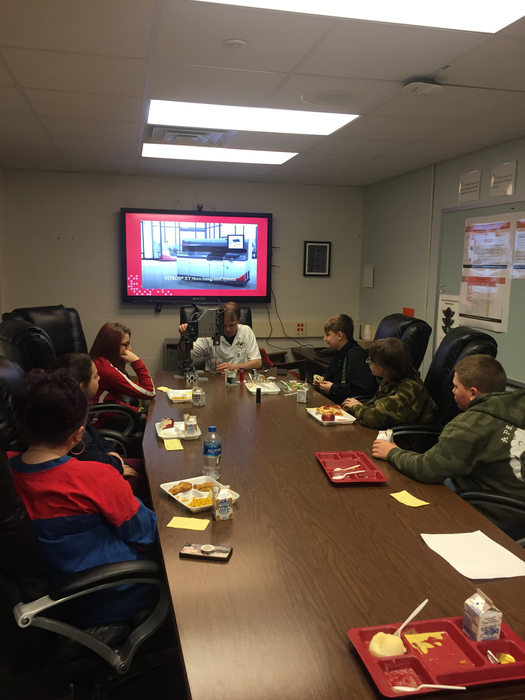 Career Day Lunch: Shaun Smith speaking on engineering! 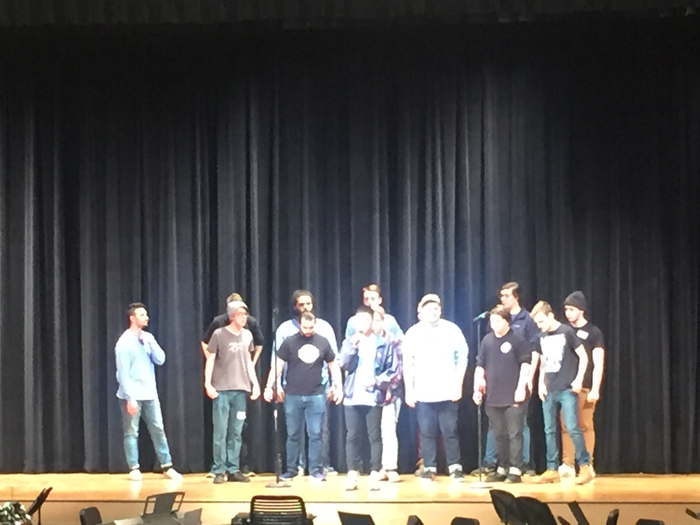 Welcome Much More Chill, SUNY Fredonia’s male a capella group! 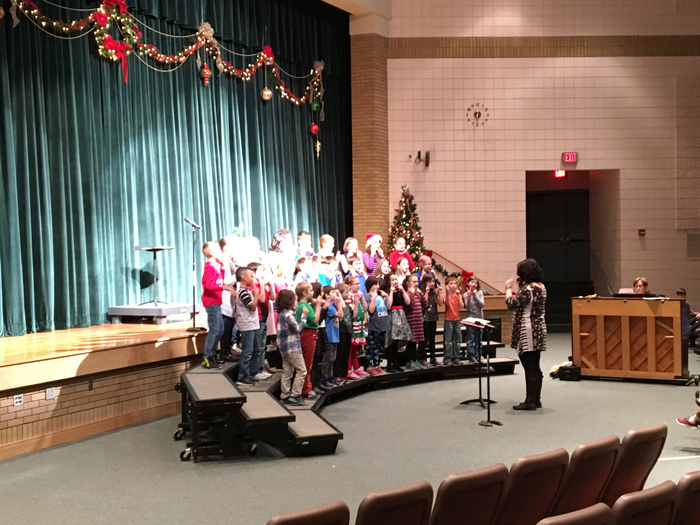 What a hit with our students! 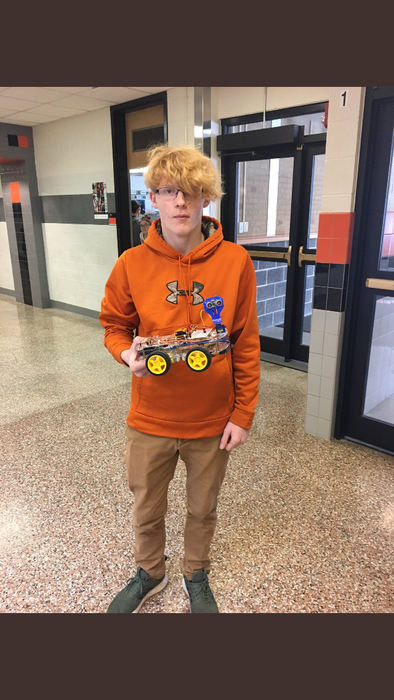 LCS grad Leif Isaacson is a proud member! 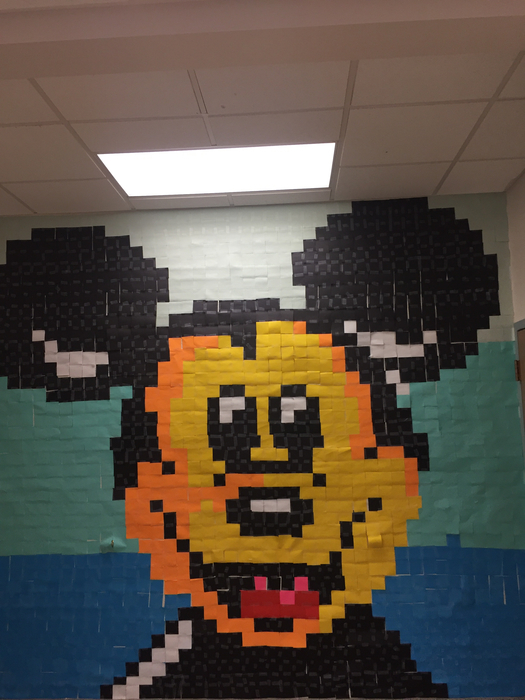 The annual post it note art project done by Mrs. LeClair’s art students! 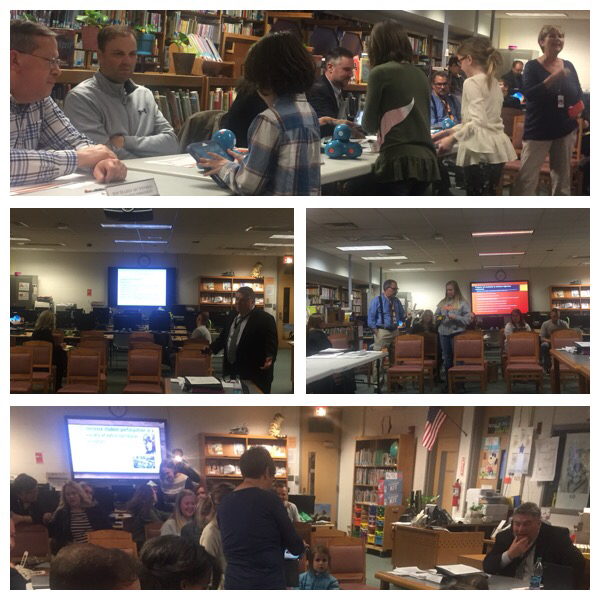 Busy Board meeting tonight with presentations from the Academic Committee, Strategic Plan updates—highlighted by “dash-n-dot” student exhibits, and a budget update. 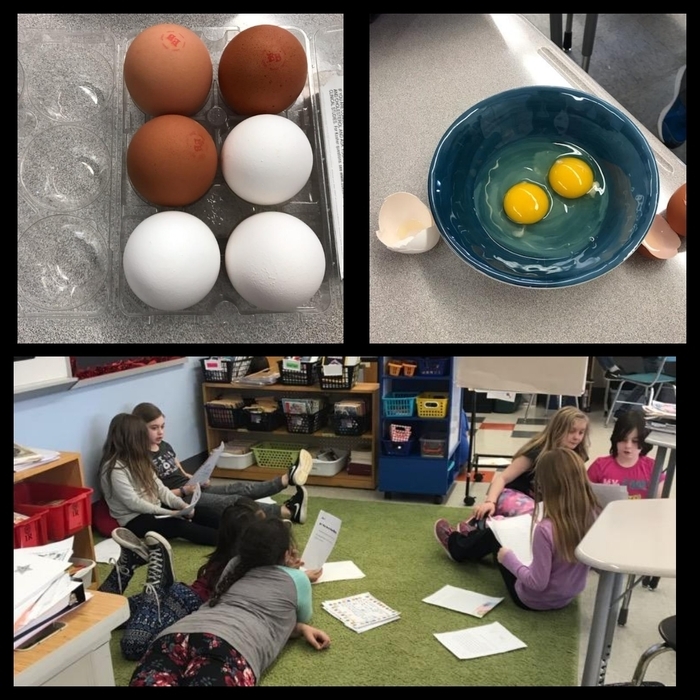 Third grade students collaborate on a lesson about diversity. We may all look different on the outside, but we're all the same on the inside. We each have a heart, feelings and emotions. 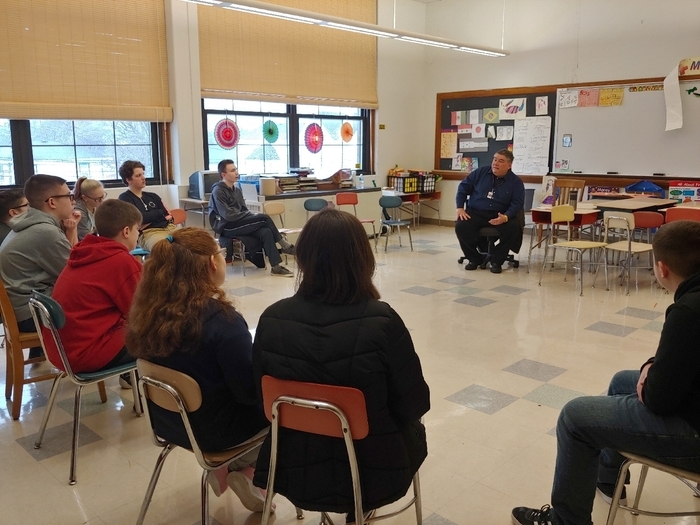 Playwright Mark Humphrey sharing his experiences with several Lyndonville students. 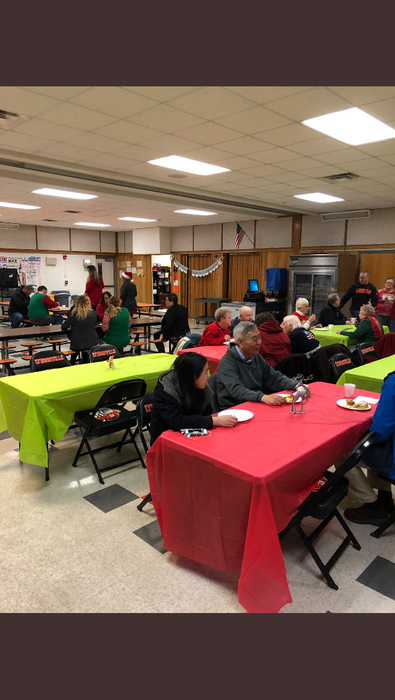 Thank you Mrs. Buchner for arranging this event! 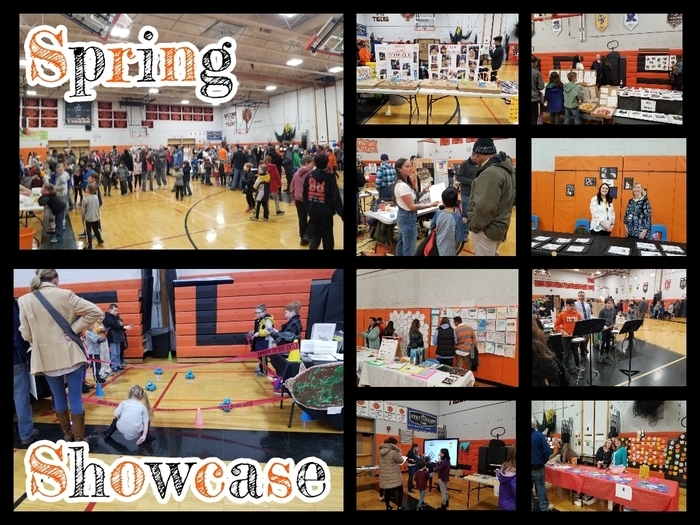 Not too late to come to the Elementary Spring Showcase! 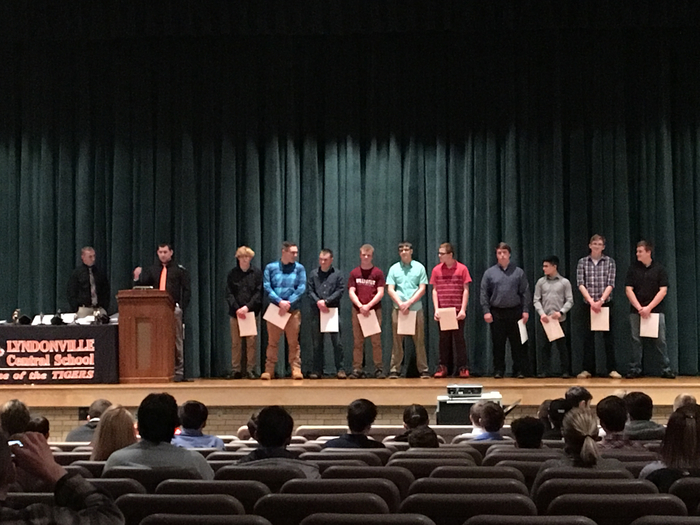 Congratulations to all of our Lyndonville Tiger winter athletes. We are honored to salute you this evening! Modified Softball Coach needed! You must meet all legal requirements to Coach in NYS. 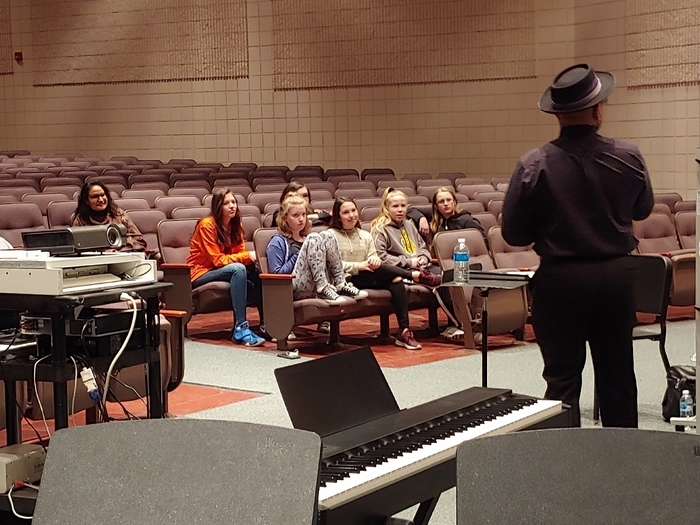 Please contact Alan Lee Dillenbeck for more information, 585-765-3161 or ldillenbeck@lcsdk12.org. 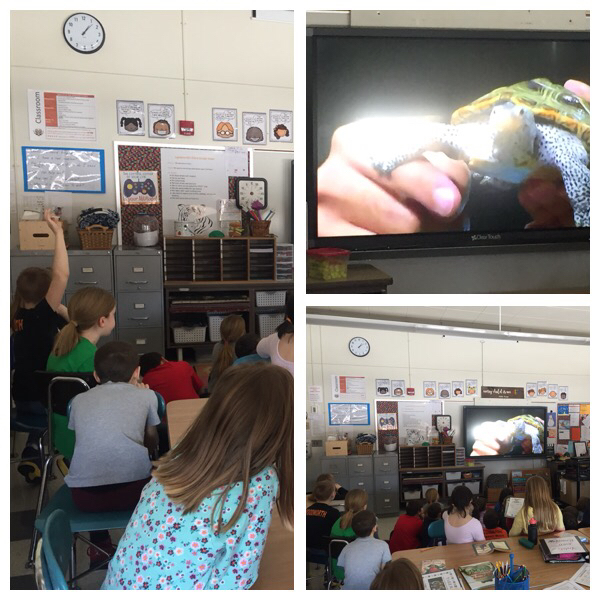 Third graders learning about sea turtles on a virtual field trip to Florida! 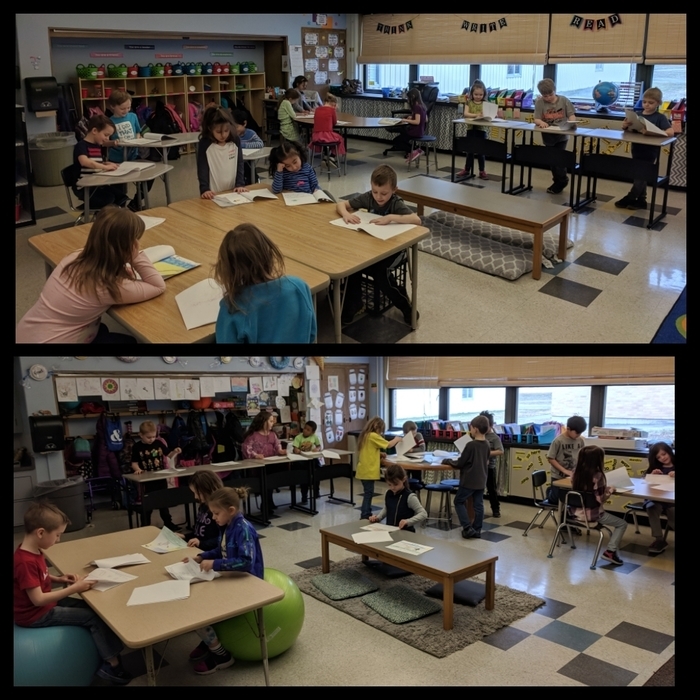 Fourth graders engaged in a peer review of “Informational Booklets” from our Lucy Calkins writing program! Well done! Buses are running late this afternoon due to poor weather conditions - Wednesday, Feb. 27th. UPDATE: Boys BB Class C3 semifinals game is now at Batavia High School at 5:30 pm on Tuesday February 26th vs York. Admission is $5 and a spectator bus will be available for students in grades 7-12. No fee for the the bus and students can sign up in the Main Office. School is closed today Monday 2/25 due to current and forecasted weather conditions. Boys BB Class C3 semifinals game is at Brockport Middle School at 7 pm on Monday February 25th vs York. Admission is $5 and a spectator bus will be available for students in grades 7-12 . There is no charge and 7-12 students can sign up Monday in the Main Office. Mardi Gras Mom Prom - Friday, March 1st from 6:00- 8:00 p.m. in the cafe for students in grades PreK-12. Call 765-3157 for more information and reserve your spot! 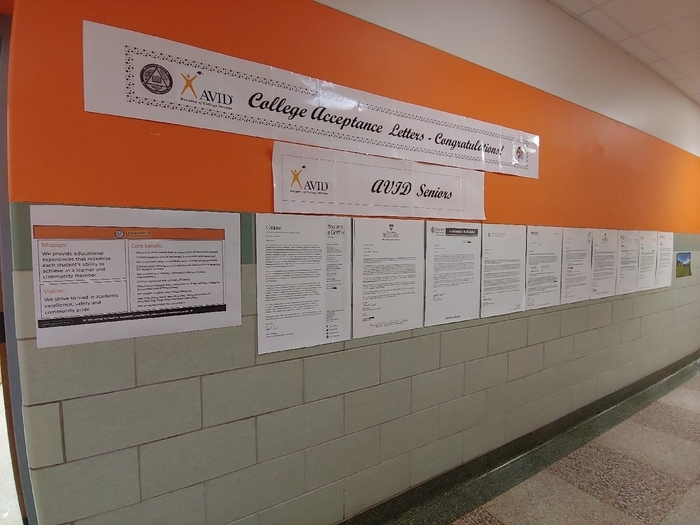 Progress reports for students in grades 7-12 have been posted to the parent portal. They will also be mailed out today. 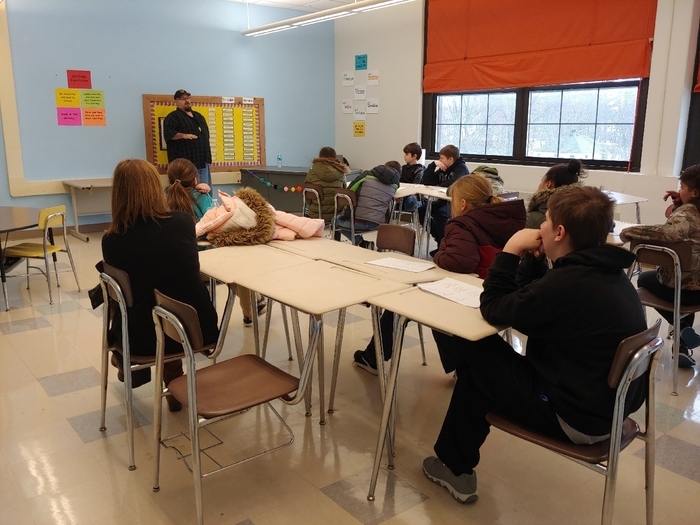 Career Day today for 6-8 grade students. 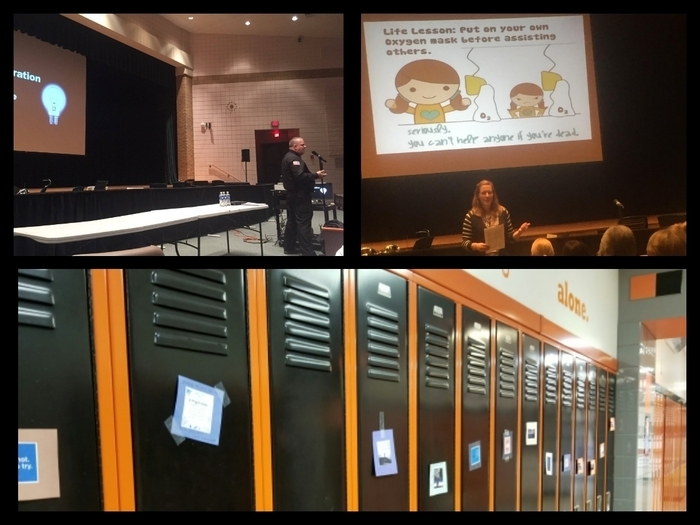 Thank you speakers and thank you Mrs. Nealon for organizing the day. 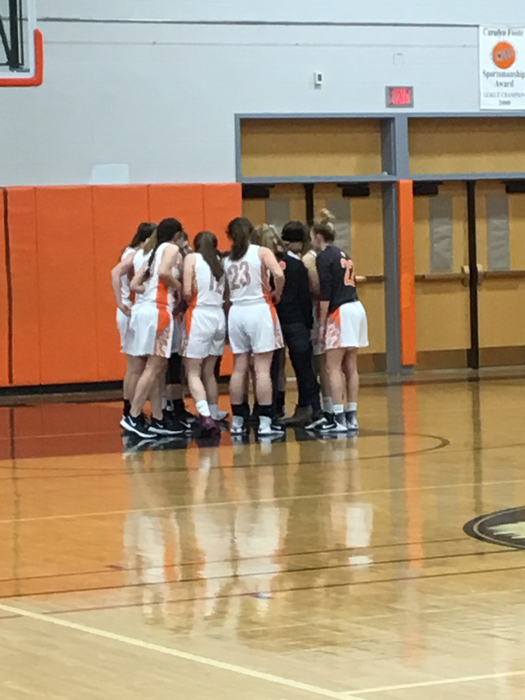 Girls Varsity Basketball Pre-Quarter Sectional Game is scheduled for Wednesday, February 20th at 7:00 pm at Cal-Mum High School. ADMISSION will be $5.00 per person. Come out and support the team! 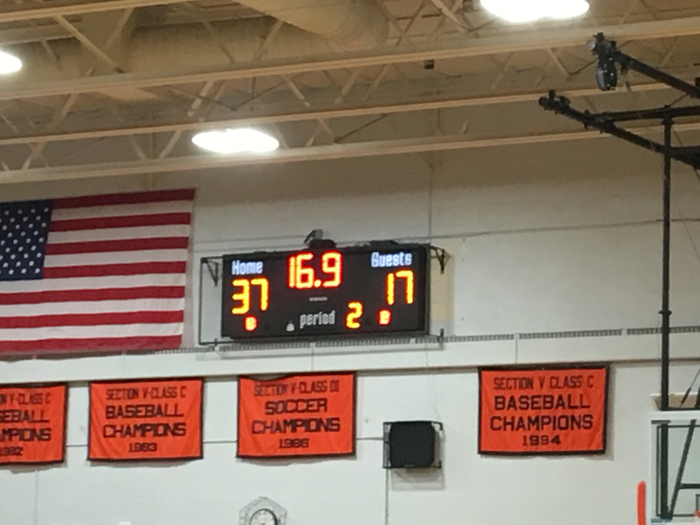 Boys Varsity Basketball Quarter-finals Sectional Game is scheduled for Friday, February 22nd at 7:00 pm in Lyndonville. ADMISSION will be $5.00 per person under 5 free. Come out and support the team! Our Parent Portal (gradebook) is now available on our official school app. 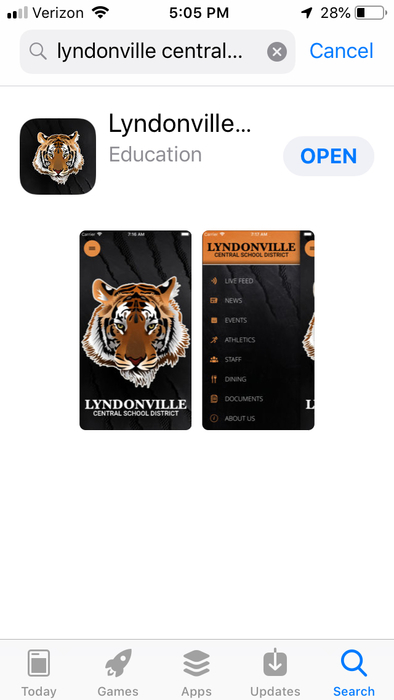 Download the app today in your app store of choice: Lyndonville CSD. Thank you. The girls JV/Varsity Basketball game vs Kendall has been rescheduled for Friday, February 15 at 5:00 pm. 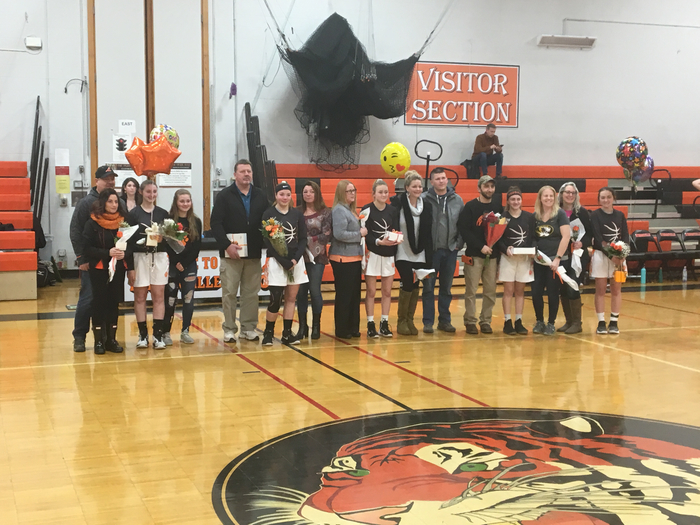 Congratulations to all of our Lady Tigers basketball seniors you will be missed but your legacy will live on! 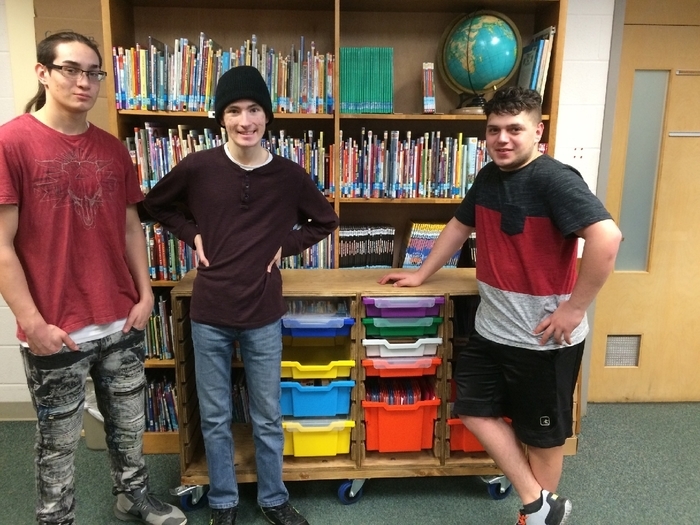 Mr. Gress's class built a rolling cart for the elementary library. Great job! Postponed - Tonight's JV/Varsity Girls Basketball game & Boys Modified Basketball game have be postponed. Please watch for rescheduled dates. 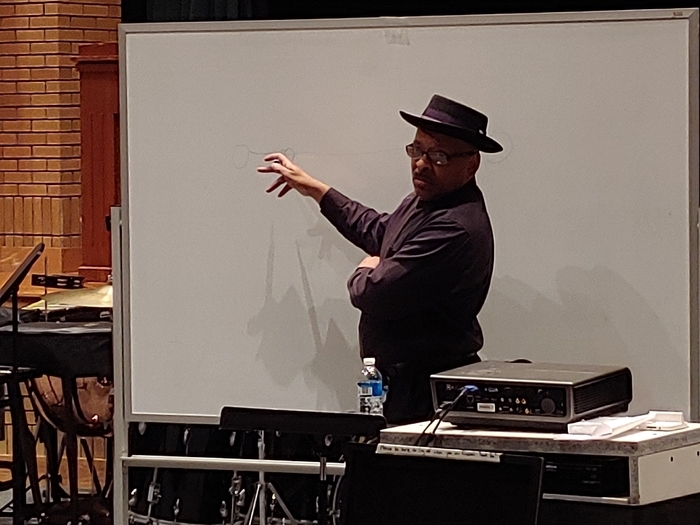 Due to inclement weather, the band exchange trip scheduled for today has been postponed. 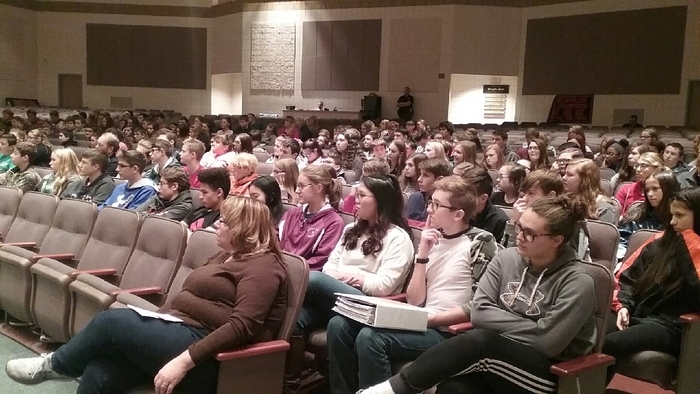 If your student was attending this, please know that they are safe and sound at school. More information about a rescheduled date will be forthcoming. 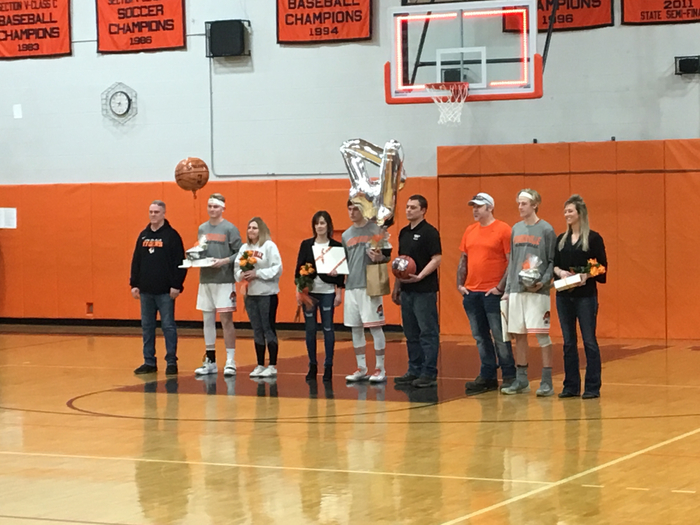 Congratulations to all of our Lyndonville Tiger Varsity Boys Basketball Seniors as they are honored at senior night - you will be missed in this gym but we will always remember this championship season! 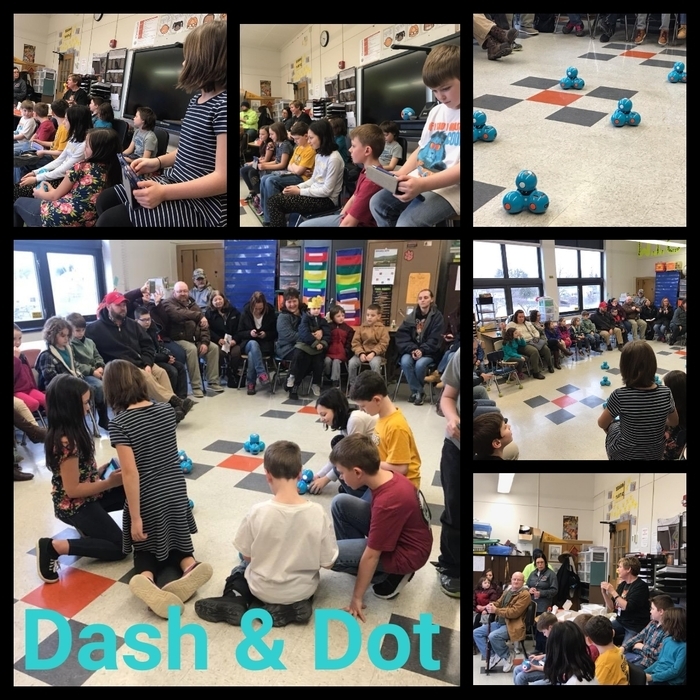 4th graders learned to code after school with Dash & Dot! 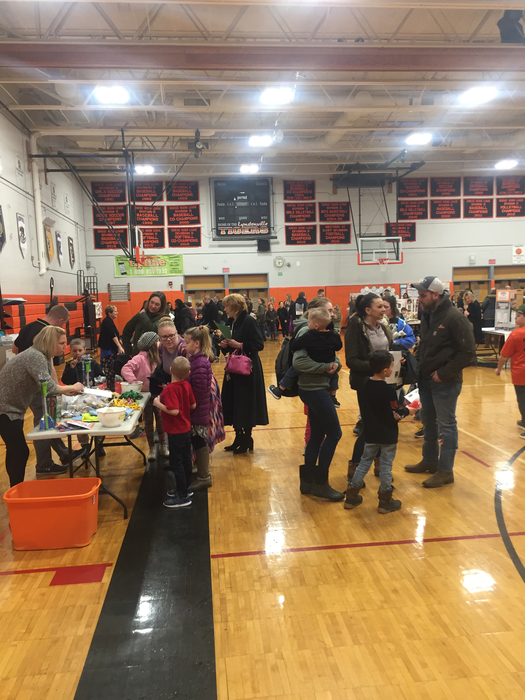 Students showcased their skills at a family event this afternoon! Congrats to our 2018 Girls Varsity Softball Team on your league title! LCSD will conduct the required annual "Go Home Early" drill on Friday, February 15th. On that day, all students will be dismissed 15 minutes earlier than the normal dismissal time. 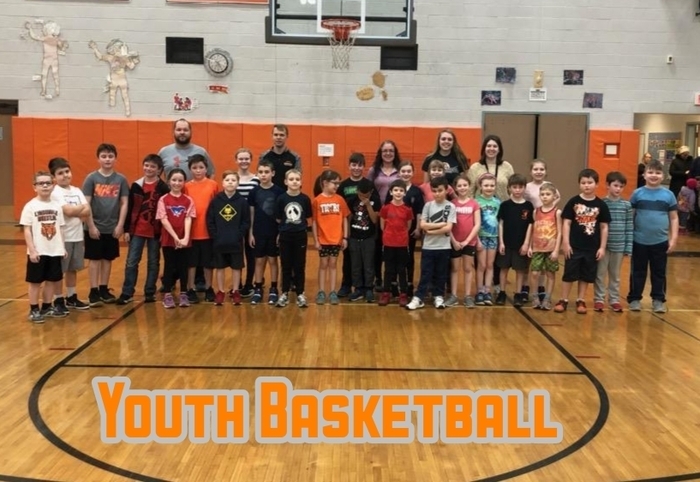 The YMCA after-school program and athletics will continue as scheduled. LCSD is proud to have been named one of the top 50 upstate schools for our graduation rate! Well done faculty, staff, students, and community! All after-school activities have been cancelled. All students will return home on the 2:30 pm bus run. Due to weather conditions, the 6th grade field trip scheduled for today has been cancelled. Students will remain at school. 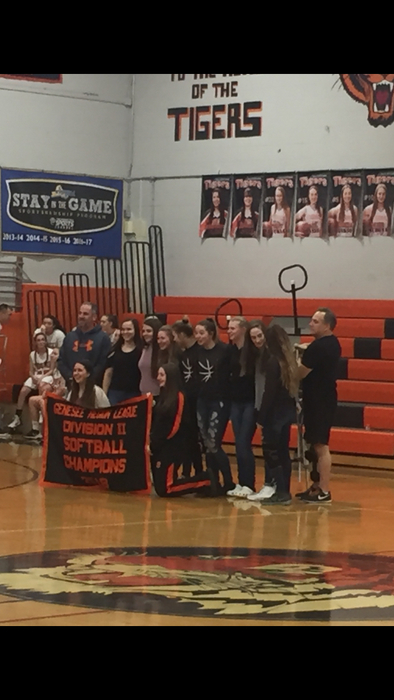 The Girls Softball Banner Raising has been rescheduled for Friday, February 8th in the Hayes Gym during the halftime of the JV Girls Basketball game. See Mr. Dillenbeck if you have any questions. 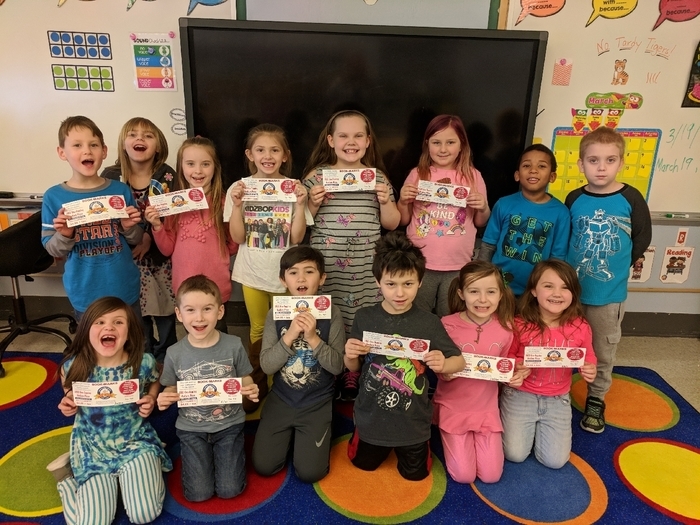 Report cards for grades Pre-K - 12 are now available for viewing on the Parent Portal. Copies of report cards for students in grades Pre-K - 6 were sent home today in student folders. Copies of report cards for students in grades 7 - 12 will be mailed home on Feb. 5th. 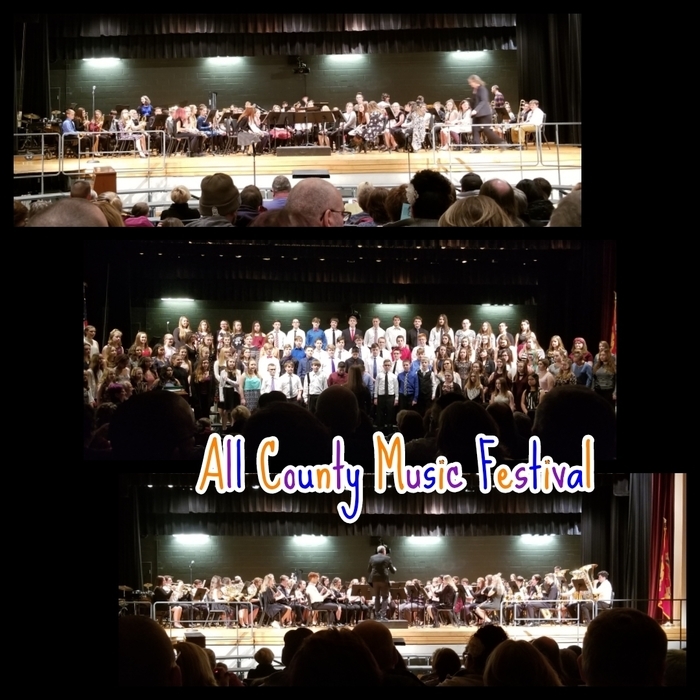 Friday's OCMEA All County festivities have been cancelled. However, Saturday's schedule remains the same with the concert at 2. 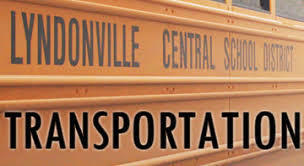 Students please arrive at Lyndonville by 8 am for the bus. Remember concert dress, water, music, pencils and lunch or lunch money! School and all activities/practices are cancelled for Thursday, January 31 due to forecasted weather conditions. Stay safe and warm! 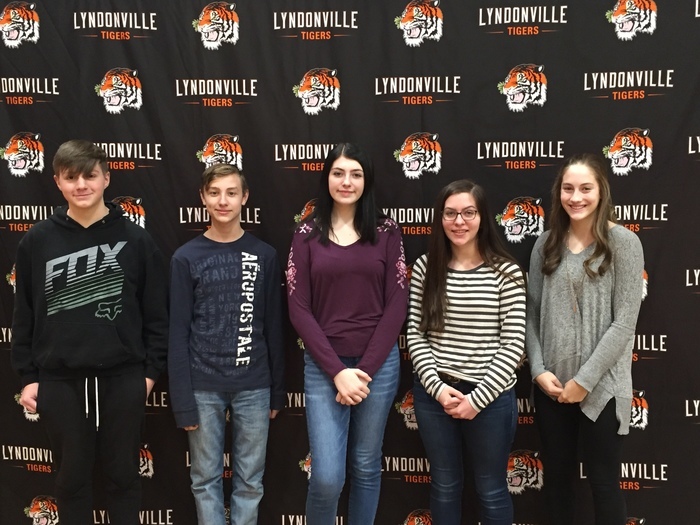 Lyndonville CSD will be closed tomorrow January 30 due to forecasted weather conditions. Stay safe and stay warm! POSTPONED Softball Banner raising scheduled for this evening has been POSTPONED. Please watch for a rescheduled date. Girls Softball Banner Raising Friday January 25th Hayes Gym Halftime of the JV Girls Basketball game!! 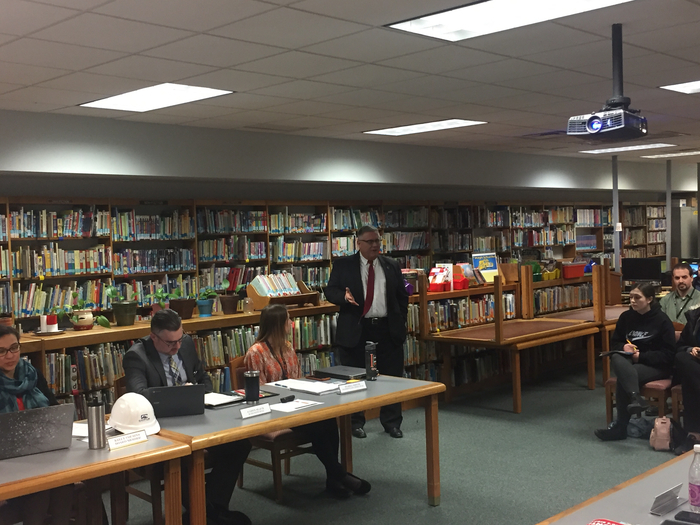 Last night, the LCSD Board was honored to host David Little, Executive Director of NY Rural Schools Association, who provided an update of the educational climate in NYS. Thanks Dave! 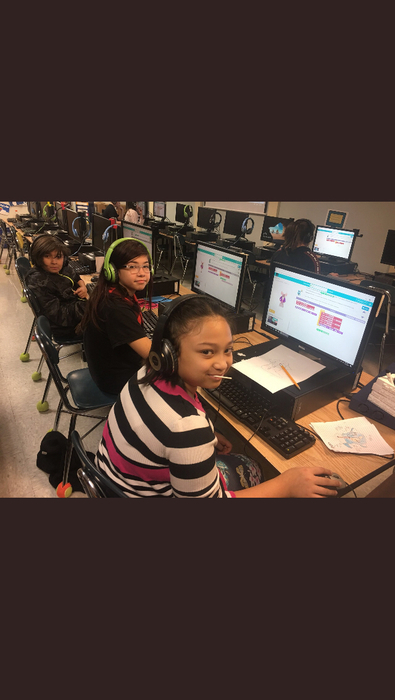 There will be a public hearing on Monday, January 14th at 6:30 pm in the Library, where will Phase IV of the Smart Schools Investment Plan will be presented. 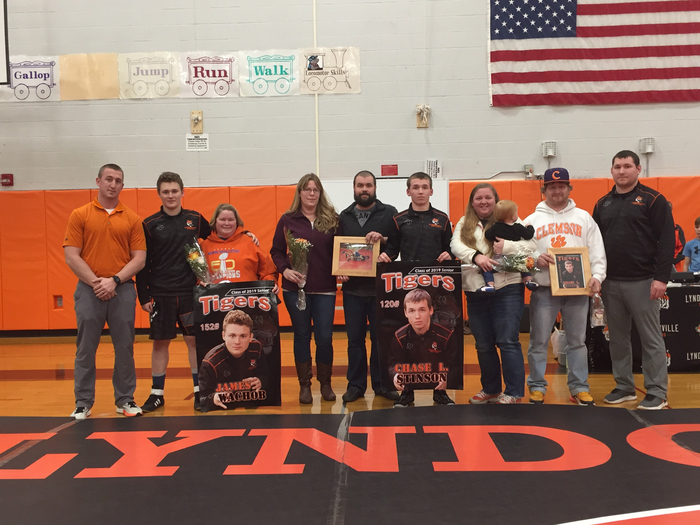 Congrats Senior wrestlers! Thanks for your dedication! 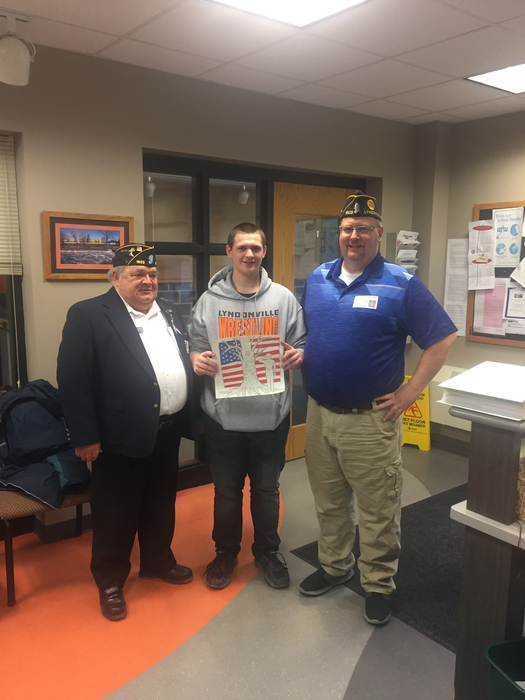 Art student Gvani Rodriguez was honored by the Lyndonville Veterans for a drawing he created for their book cover! 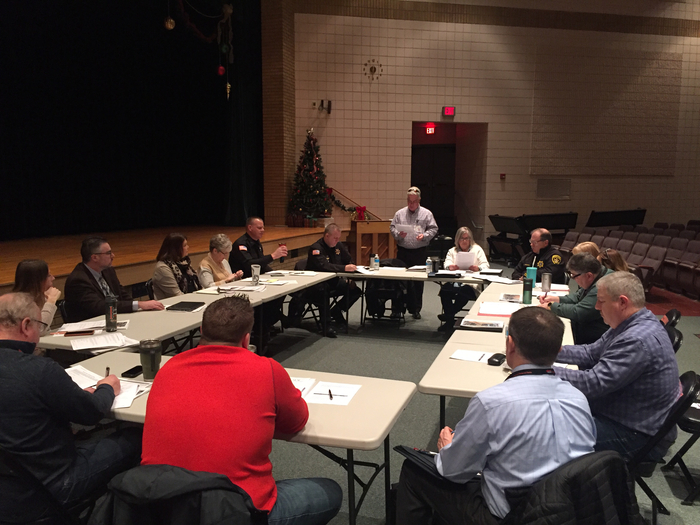 Thank you Orleans County Sheriff’s and Emergency Services for facilitating a table top exercise this morning with school staff on dangerous person training and responses. 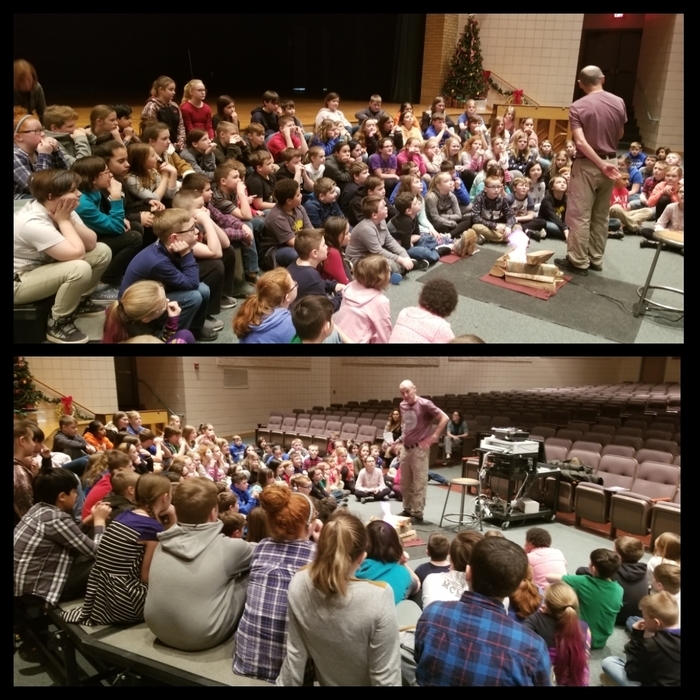 Storyteller, Mr. Rick Merritt, weaves tales and shares legends with 4th - 6th graders at LCS! Storytelling Club begins in 2 weeks! We have officially “broken ground” on Phase II of our Capital Project! 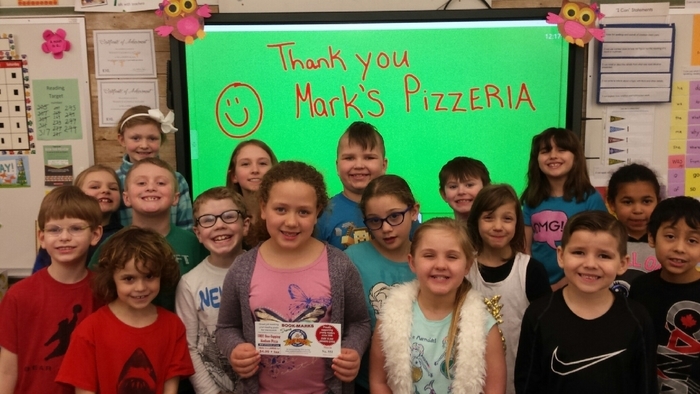 Thank you community for your support! Happy New Year! Classes resume tomorrow January 2, 2019! 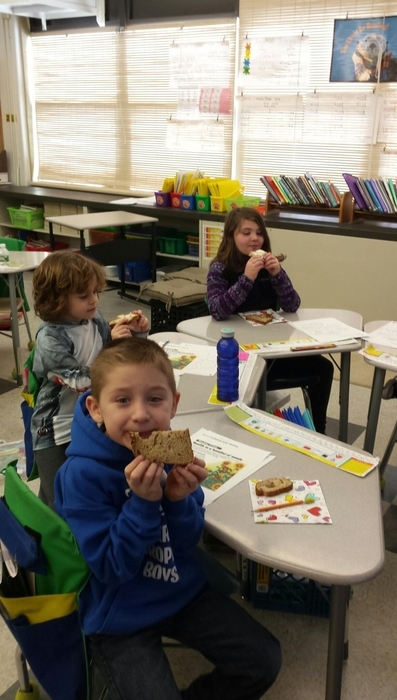 Did you complete an application for free and reduced price school meals at the beginning of the school year? It's not too late. Were you denied and have since had changes to income, employment, or increase in household size? You may be eligible. Questions? Call 585-765-3101. 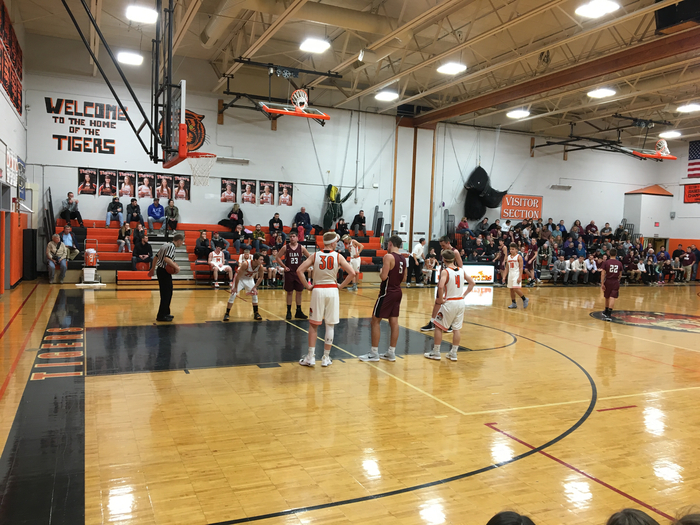 A full house gathered to watch a high-powered Lyndonville Tiger boys basketball team tonight- Tiger pride let’s go boys! 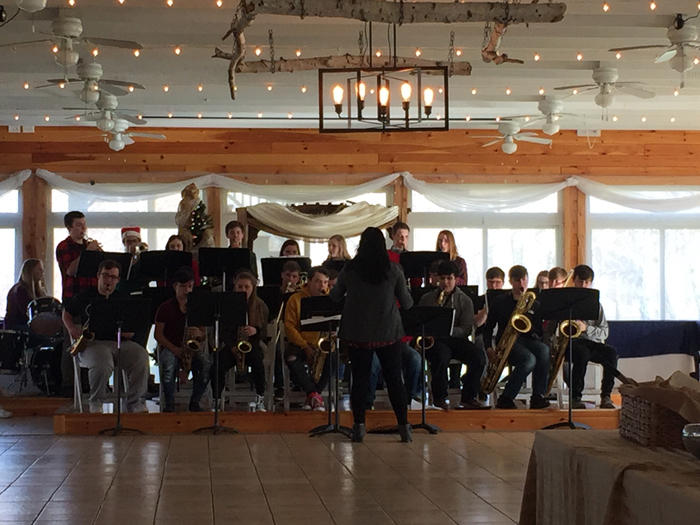 Our jazz band entertaining the Orleans County Busy Buddies at the White Birch! Reminder that students are dismissed at 1 pm this Friday! Twice as nice! 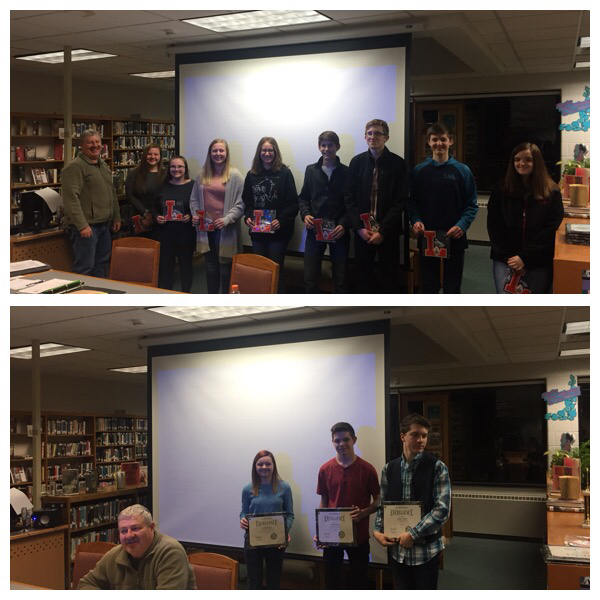 Both the boys and girls soccer teams achieved NYS Scholar Athlete Team status. 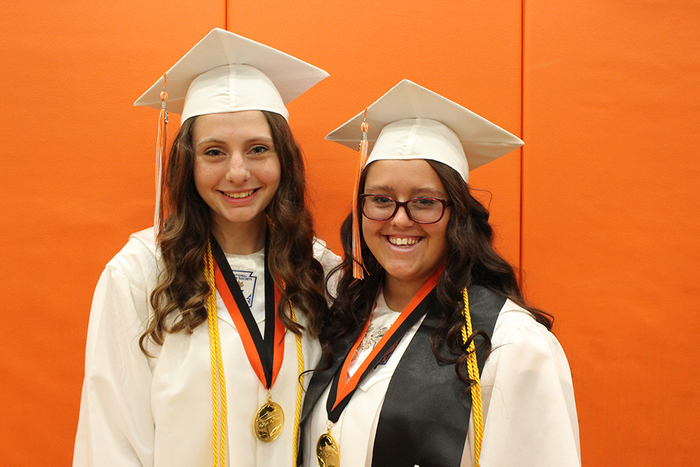 You make Lyndonville and Medina proud. 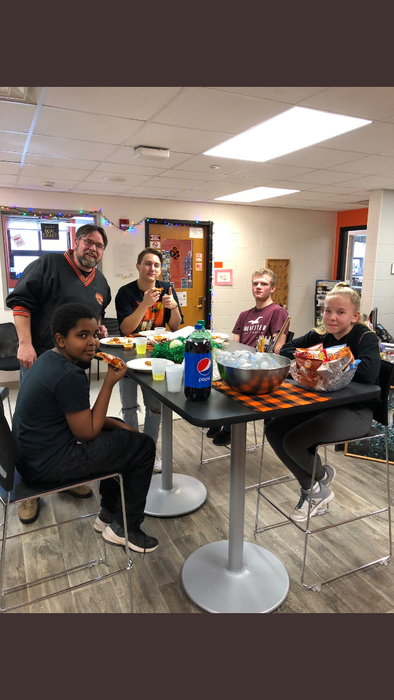 Keep up the great work on and off the field! 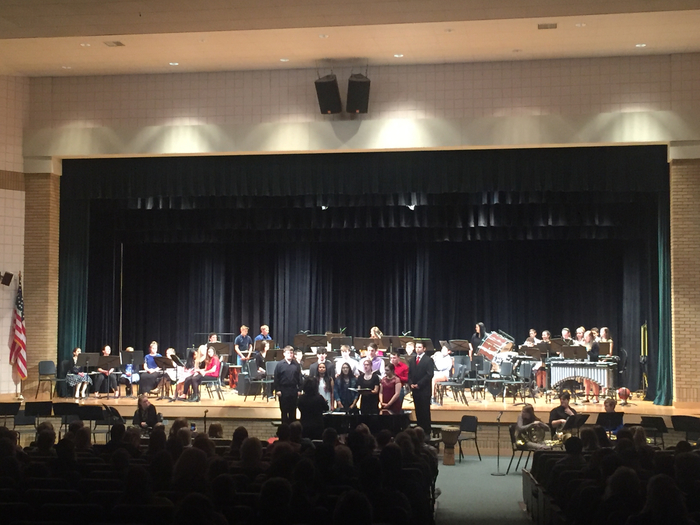 Lyndonville’s extraordinary 3-8 musicians playing to a packed Stroyan Auditorium for their winter concert! 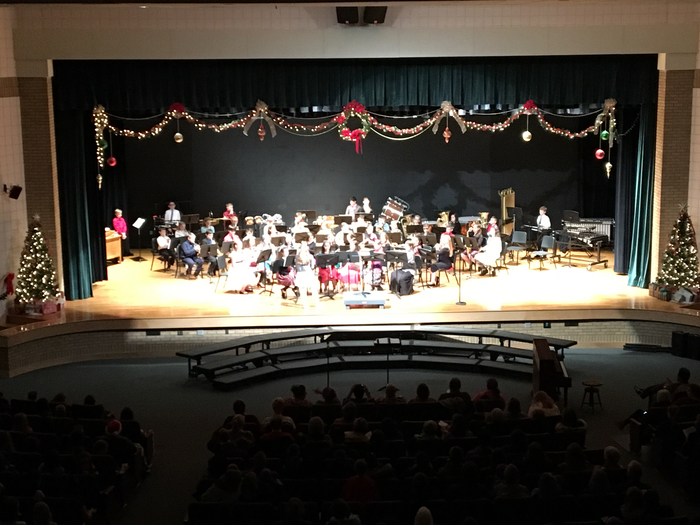 Our 3-8 grade musicians proudly performing their holiday program for an audience of their well behaved peers! Students will be dismissed at 1:00 pm on Friday, December 21! Classes resume on January 2, 2019! Happy Holidays!! 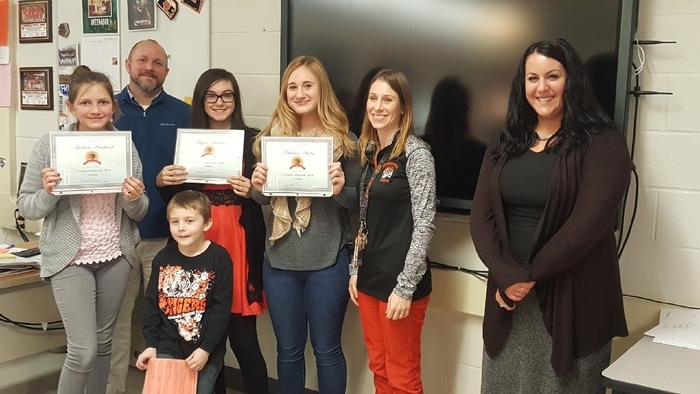 Congratulations to our Academic Excellence Honorees recognized at last night’s Board of Education meeting! 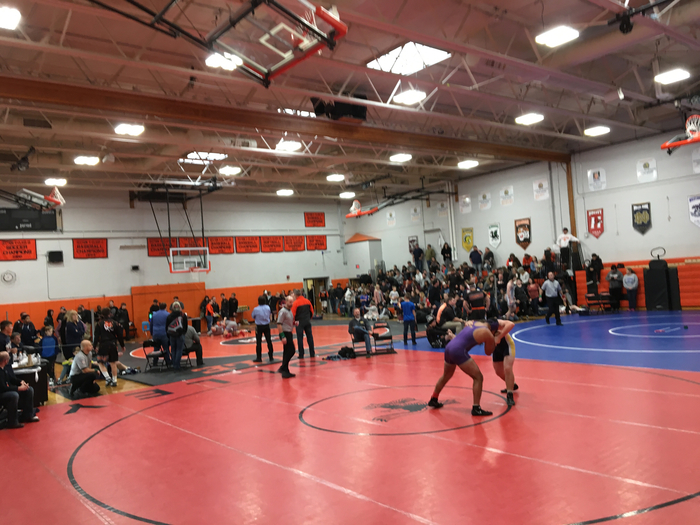 Fred Large invitational wrestling tournament amazing turnout go Tigers! 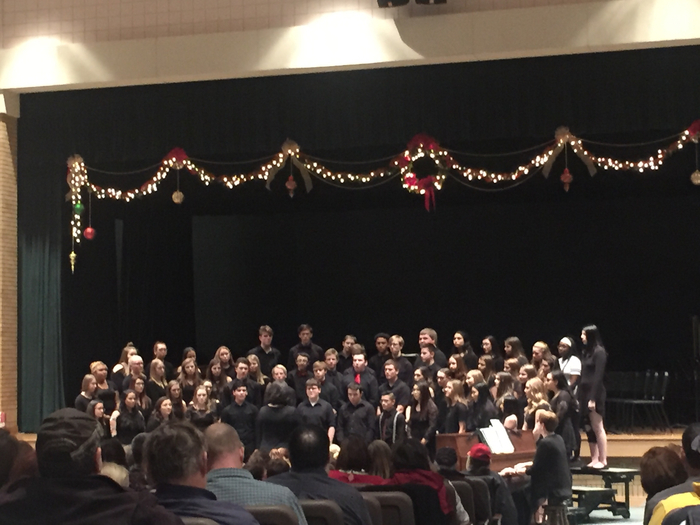 High School chorus performing at the Winter Concert! 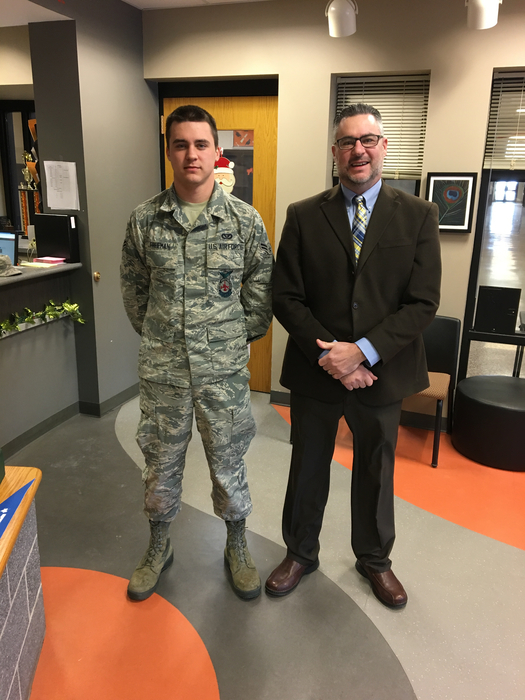 We were so honored to have USAF Airman first class Alex Freeman pay a visit to his alma mater today- thank you for your service Alex you make @LyndonvilleCSD proud! 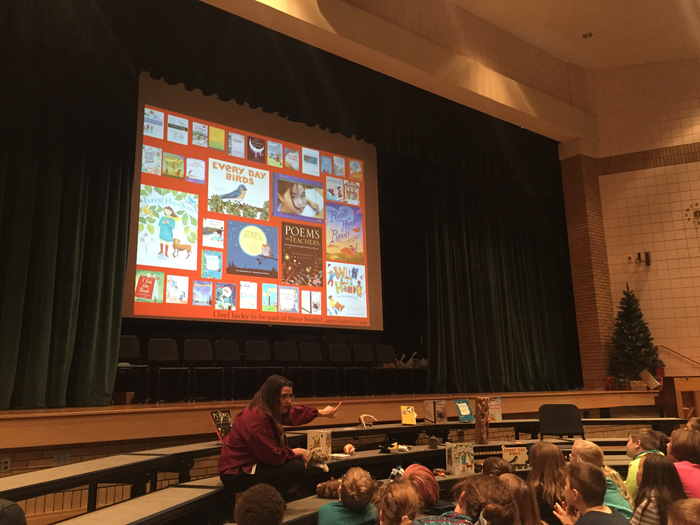 Welcome children’s author Amy Ludwig VanDerwater, sponsored by the LCSD Educator of the Year Program and 2018 honoree Shannon Arlington! The parent portal (gradebook) is back up and running! Thanks for your patience and please contact us at 765-3101 if you need assistance. We are experiencing some problems with our parent portal gradebook and are working on a solution. Thanks for your patience. We will let you know when it is back up and running. 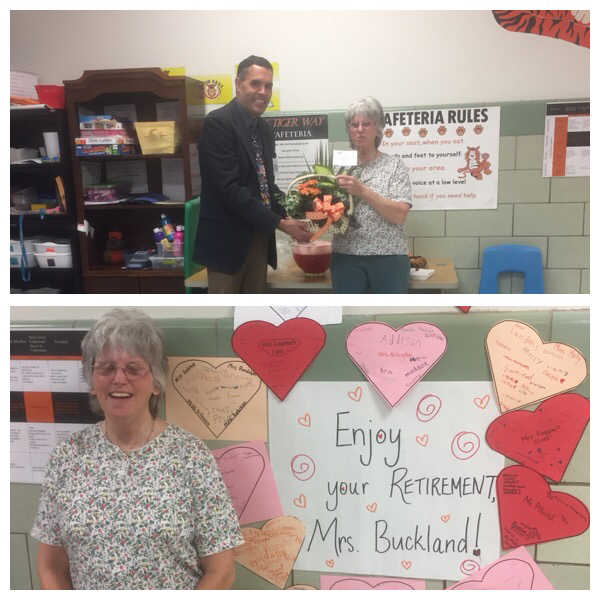 Congratulations to Mrs Linda Buckland on her retirement after 27 years of dedicated service to our students! 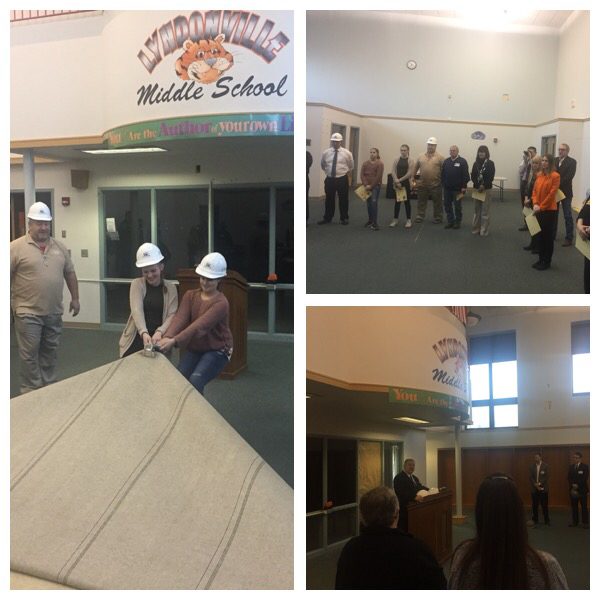 Last night, the LCSD Board of Education awarded contracts to begin Phase 2 of the Capital Project. Construction will begin on January 2, and more detailed information will be released in the next couple of weeks! Great job this morning LCSD bus drivers!! 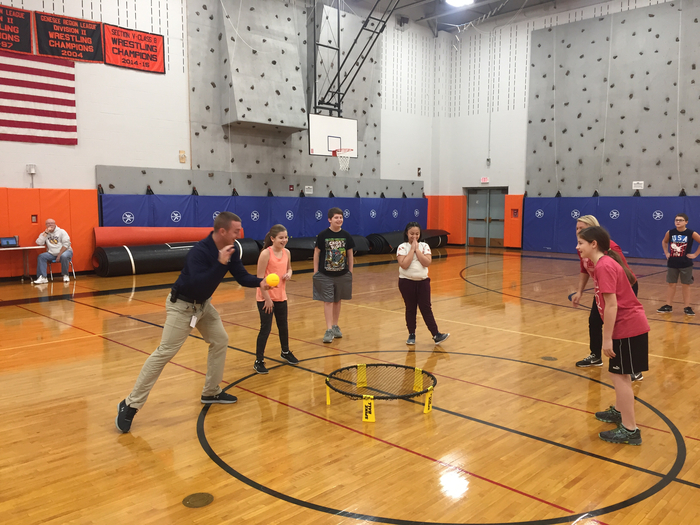 A new unit in PE class: spikeball! The new website transition has begun, so please be patient over the next few hours as we begin the migration. Thank you. There is a special Board meeting tomorrow night at 6 pm, where bids for the Capital Project will be recommended. 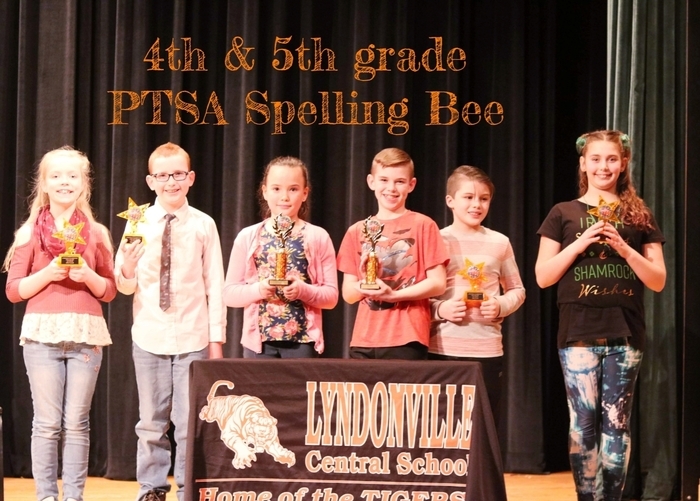 Please visit http://www.lyndonvillecsd.org/ to view the agenda. 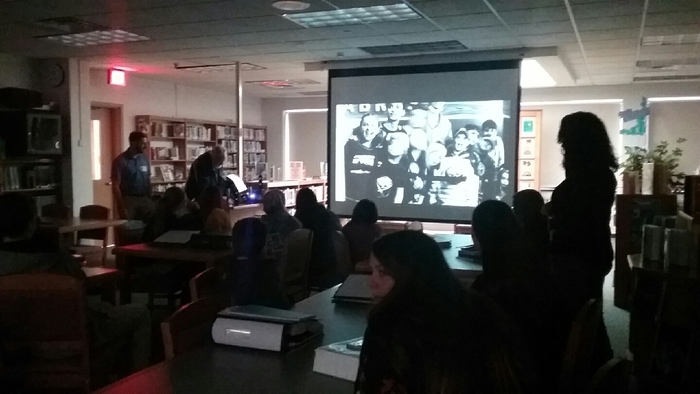 Paul Capotosto, Multimedia Editor for Roswell Park spoke to AVID students in grades 7-12 on Friday, 11/16. 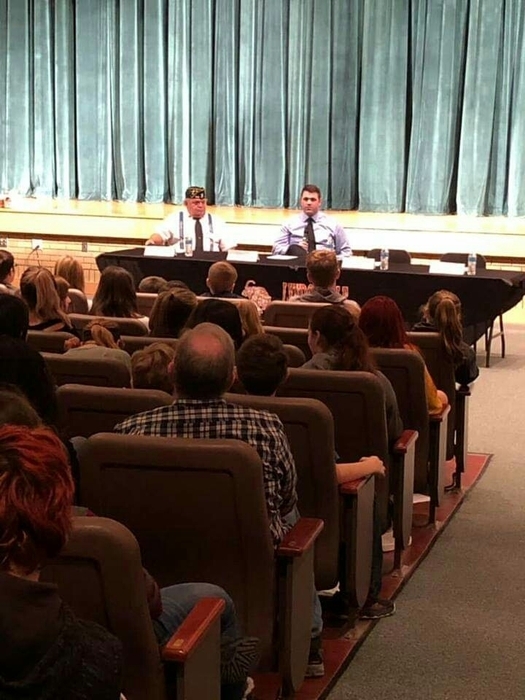 Veterans, Mr. Gene(TJ) Thompson and Mr. Joseph Hausler speaking with our Lyndonville 7-12 students at our positive recognition assembly. Thank you for your service! 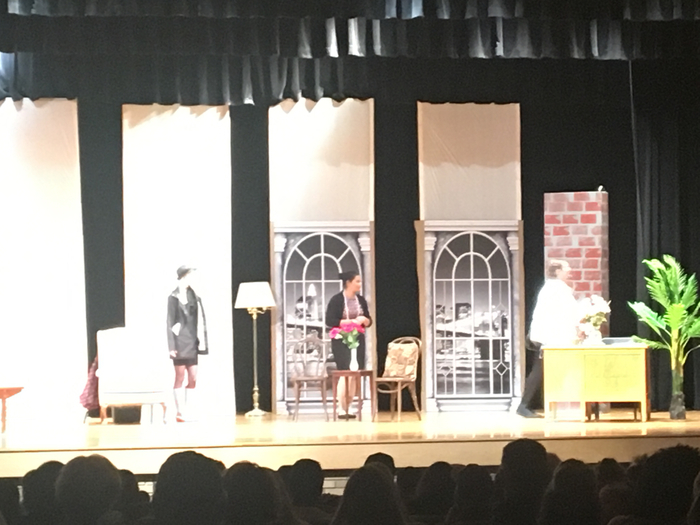 Lyndonville senior play tonight ...a decades long district tradition...break a leg seniors! 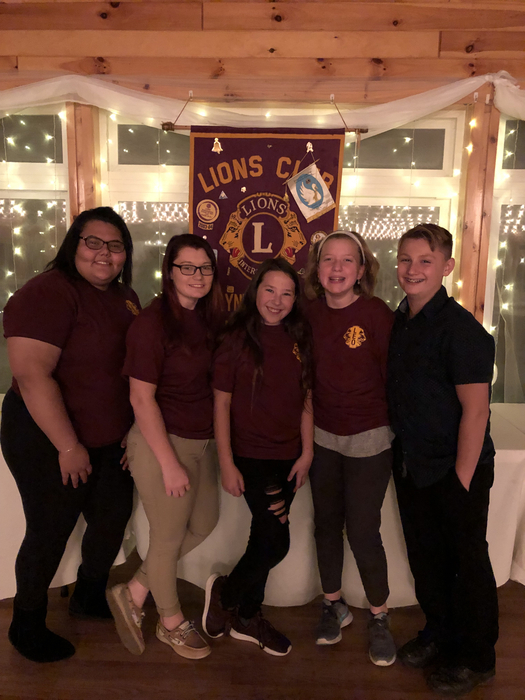 Lorelei Dillenbeck was the winner of the Lion's Club District 20-E1 Peace Poster Contest. 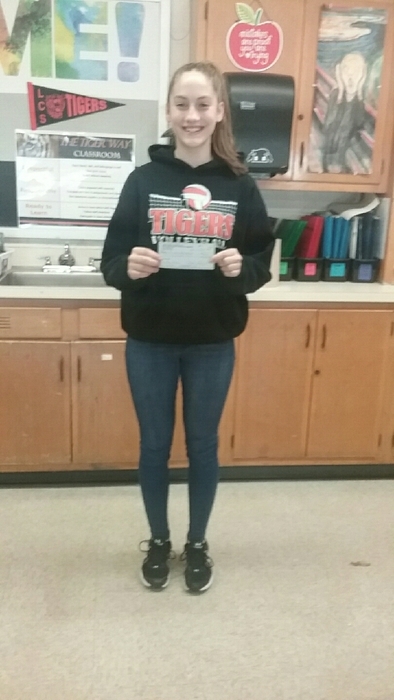 She was awarded with a $100 check. Her poster moves on to the next level of competition. Congratulations Lorelei! Remember 9 Days or Less for Student Success. How is your students attendance? 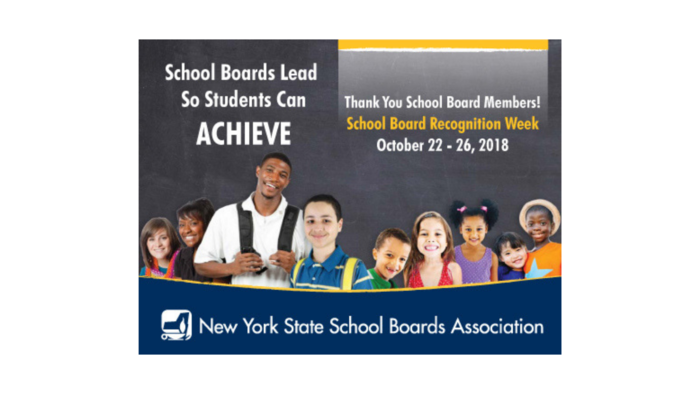 Thank you to the Lyndonville Central School District Board of Education members for all they do to support our district! High School Open House is Thursday, October 4th at 6:00 pm!